Nothing ruins a war story like a witness. When you claim that you were somewhere you weren’t, that’s usually called a lie. When you claim that something happened to you that didn’t, that’s a lie, right? Most of the time, when you claim that you saw things that never occurred, or heard things that were never said, you’re lying. And a lot of people are saying that about Brian Williams. I don’t know if he embellished stories to aggrandize himself, or if (as some defenders are saying) he is just experiencing the memory lapses that affect most people in the course of their lives. But most people aren’t the Managing Editor of the highest rated newscast in the world. I feel bad for Williams. I have always liked him and his wicked sense of humor. But now that NBC has suspended him for six months, I wonder if it should stop with Williams. Within the ranks of NBC News, there must be dozens of people who knew that Williams’ helicopter was never struck by an RPG – nor even in the same vicinity of the one that was. Other people – camera operators and technicians, field producers, etc. – knew that Katrina’s waters never rose high enough in the French Quarter to float a body past Williams’ hotel window, as he has claimed. Where were these witnesses? Where are they now? And why have they kept silent all these years? Ask a pilot. Better yet, ask a co-pilot. 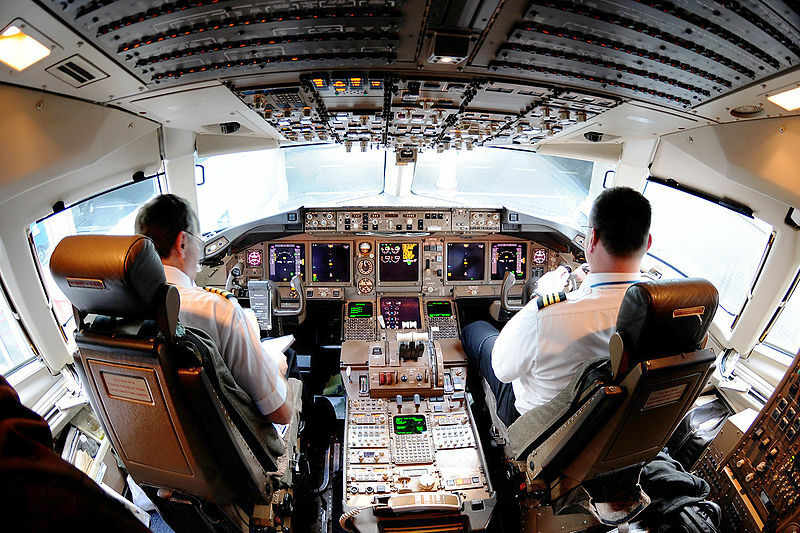 Historically, airplane flight decks enforced a rigid hierarchy, and the pilot was at the top. Co-pilots and the rest of the crew were second-class. Pilots were the final authority and no first officer who ever aspired to sit in the left seat would openly question the decisions made by the pilot. A network newsroom has its hierarchy, too. The Managing Editor has enormous power and can make or break a career with just a word or two. Let’s see how well that has worked out on airplanes. In December 1978, a United Airlines DC-8 was approaching Portland International Airport when the pilot detected a problem with the landing gear. He decided to put the aircraft into a holding pattern while he tried to figure out the problem. After an hour went by, the first officer and flight engineer began dropping hints about their ever-dwindling fuel supply – hints the pilot chose to ignore. When the engines started flaming out, they finally got the pilot’s attention. But by then, it was too late. The plane crashed some six miles from the airport, and ten people (out of 189) lost their lives. This same flight deck dynamic was the primary cause of the Tenerife airport disaster that claimed the lives of all 583 passengers and crew on two 747s a year earlier. The Portland incident prompted the Federal Aviation Agency to direct all US airlines to institute Crew Resource Management (sometimes known as Flight Deck or Cockpit Resource Management), which emphasized crew empowerment and communications skills. In short, if someone other than the pilot thinks the pilot made a poor choice, it is his or her obligation to point it out. After all, lives really are at stake. The resulting culture change has led to a much healthier (and safer) environment up on the flight deck — so much so that a number of hospitals took notice. Historically, the hierarchy in the operating room felt a lot like the flight decks of yore, with the surgeon having unquestionable authority over everything and everyone present. By applying the principles of Crew Resource Management, the myth of infallibility was shattered – and lives were saved. Should newsrooms adopt Crew Resource Management? Should staffers feel empowered to call out the boss if he or she is potentially damaging the integrity of the network? It’s a question I am sorry I even have to ask. In the aftermath of the Jayson Blair scandal, the New York Times moved in that direction by appointing an internal watchdog – known as the Public Editor – to scrutinize the paper’s coverage for fairness and accuracy. Like a pilot who came to believe in his own infallibility, Brian Williams brought all of this upon himself when he chose to tell his war story on the nightly news. Had he confined his fictional heroics to cocktail parties, nothing would likely have come of it. Nothing except that everybody who knew the truth all along had to feel a little cheapened and sullied every time he told the story. Good work, Bri. Shame, thy name is Ben. I don’t understand why he wasn’t called on this stuff long ago by his NBC bosses, who apparently knew about it and should have realized the potential risk, since so many people knew the truth. He apparently had a reputation during his Katrina coverage for tall tales and was too naïve or egomaniacal to realize that military people take a dim view of the kind of self-aggrandizement that passes muster in Midtown Manhattan. I think you are right, Tom.